Local bowlers Neil Wright, Tristan Morton and Simon Law won an English title last night (April 22). 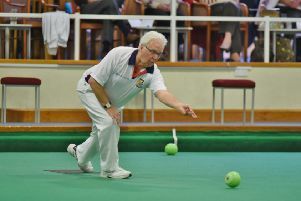 They won the triples crown at the English Bowling Federation Indoor Championships in Newark. The Northants Bowling Federation champions defeated local rivals Hunts - Ian and Lindsey Swannell and Lewis Baker - 20-14 in the final.